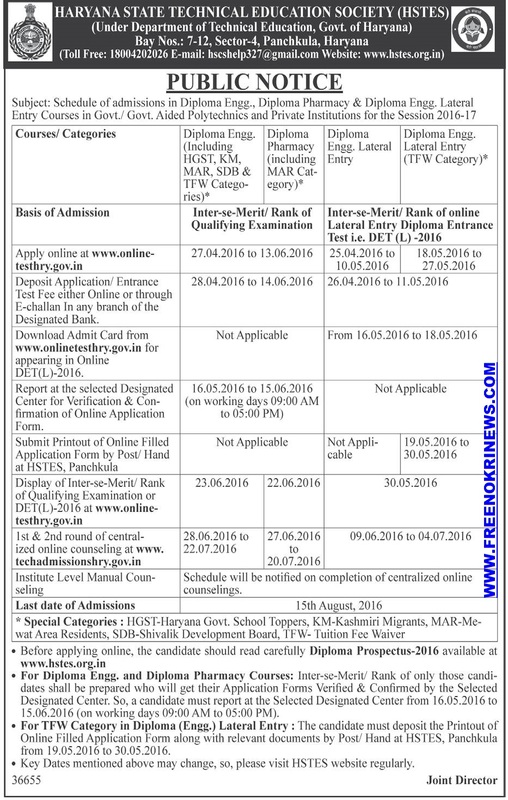 Date for Deposit of Application Fee- 28.04.2016 to 14.06.2016. Reporting at the selected designated Centre for verification & Confirmation-16.05.2016 to 15.06.2016. Display if Inter-se-Merit/Rank of qualifying examination or DET (L)-2016-23.06.2016 for Diploma in Engineering and 22.06.2016 for Diploma in Pharmacy. for Diploma in Engineering and 27.06.2016 to 20.07.2016 for Diploma in Pharmacy. Download admit cards from 16.05.2016 to 18.05.2016. 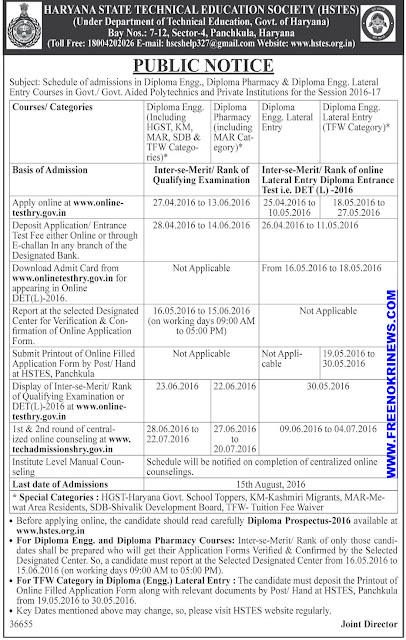 Date for Deposit of Application Fee- 26.04.2016 to 11.05.2016.